When it comes to off-camera flash, the thought alone can be daunting – how do you start? What modifiers do you use? What if it’s sunny? Is off-camera flash meant for portraits? When do you use it? When do you not use it? Now multiply that, go inside, and light a reception room. Terrifying, right? If you want to create reception lighting using multiple off-camera flashes, where do you even start? How many flashes do you need? What kind? What power do you set them on? Where do you put them? How do use use them? What if you’re at a reception and the room is a weird shape? What if? How? Don’t worry, Emily Pogozelski is here to help! 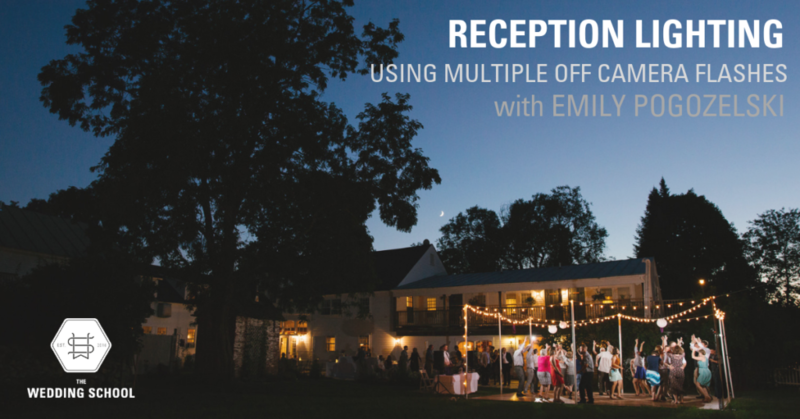 In our brand new course, Reception Lighting : Using Multiple Off-Camera Flashes, Emily will completely demystify the reception lighting process. 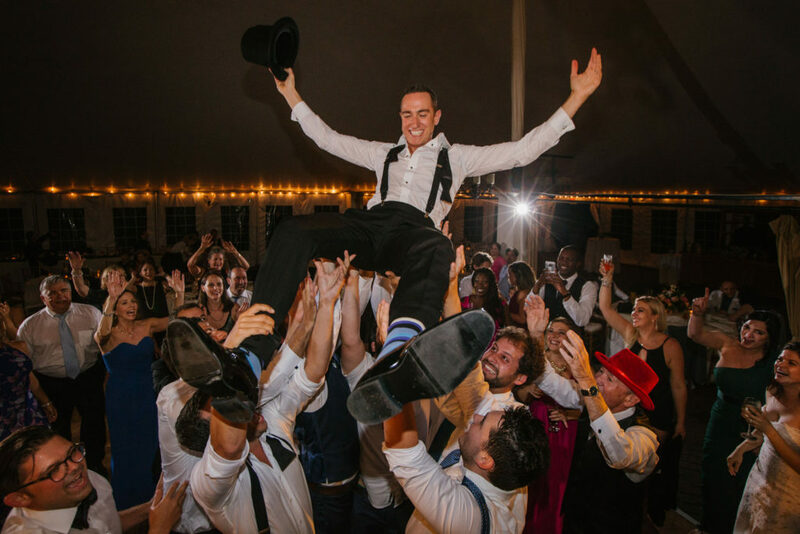 If you’ve ever wanted to use two, three, or even four flashes to cover an entire reception, this will absolutely be the class for you. If you’re a Wedding School member, view the course here! If you’re not a member and would like to purchase the course, click here! The system is simple and flexible. It can easily be taught to your team (assistant, associate photographers, second photographers). It can be used solo– no assistant required! Using Emily’s simple four-light setup, creating images like this will be a breeze! 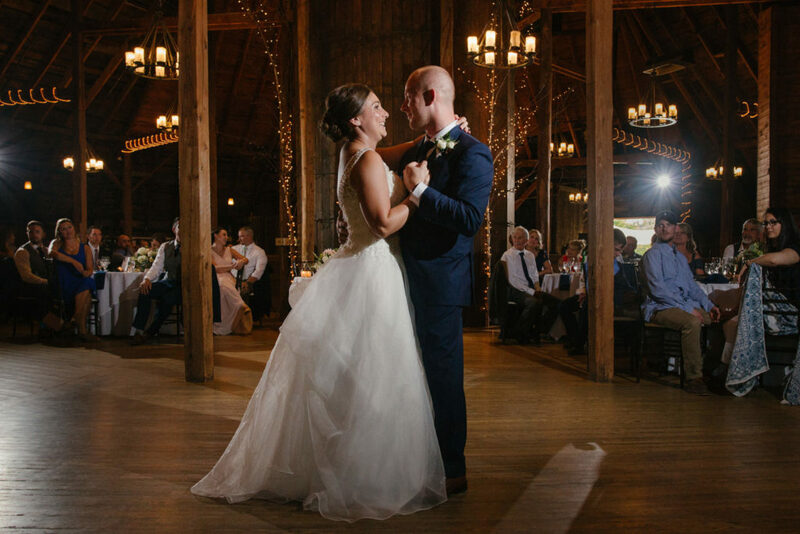 How to set up four flashes to “cross light” a reception space. How to use simple radio transmitters/receivers for rapid switching and easy communication between your cameras and flashes. Precisely where to place your lights and why – complete with diagrams! What your basic camera and flash settings should be, and how to experiment to find the right settings for you. What modifiers to use – and not use! What to do if you have no room for a light stand. How to add even more flashes for a more specialized look : when, where, how, and why you’d do this. What parts of the reception to use which lights for and how to easily switch. At the end of this tutorial, setting up your reception lights will no longer be something you fear – it will be something you love! Want to talk about it? Join our Facebook group today!